Prices if shown are + VAT. If no price is given please call us for a quote as prices can be dependant on individual requirements. 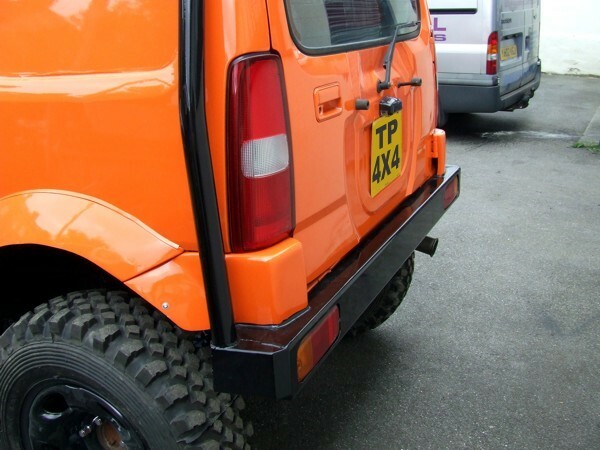 One shown in picture is for Suzuki Jimny. Don't see exactly what you want? Click here. Call +441535 661001 to order / enquire or click here for more ways to get in touch. All our products are fabricated in our workshop so we have the versatility to offer any combination of optional extras. Please call us on +441535 661001 or click here to discuss your exact requirements. For some ideas, see our Ultimate Bumper which includes extra spotlights, indicators and more. Also see our Bespoke Collection.